Joomla Extensions are great tools for adding and extending functionality to Joomla Website. In this post, I will discuss best Joomla extensions; you should have on your Joomla Website. These extensions will add excellent functionality to your site and make it ‘great’. No matter what kind of website you have, or what niche it belongs to, there are specific extensions that you must have to install. Moreover, today we are going to discuss those extensions. Let’s get right into it! If you want to convert your website visitors into your newsletter or email subscriber, then this is the must-have plugin for you. 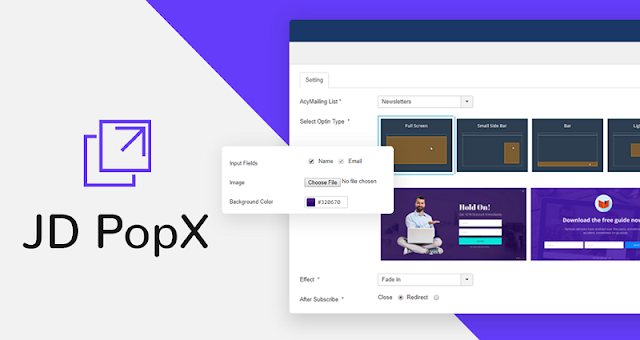 Features like Fully responsive layouts, Multiple Optin types, Playful and bold designs, Appealing design templates, Timed emergence and Easy to customize makes it perfect Plugin for their next Joomla Project. JD Social Share Joomla Extension developed by JoomDev is one of the best Social Share plugin for Joomla Platform. This extension helps you to share your articles on every social media channel, even with WhatsApp also. Social Sharing is one of the many ranking factors used by a search engine. Hence you can’t ignore this. 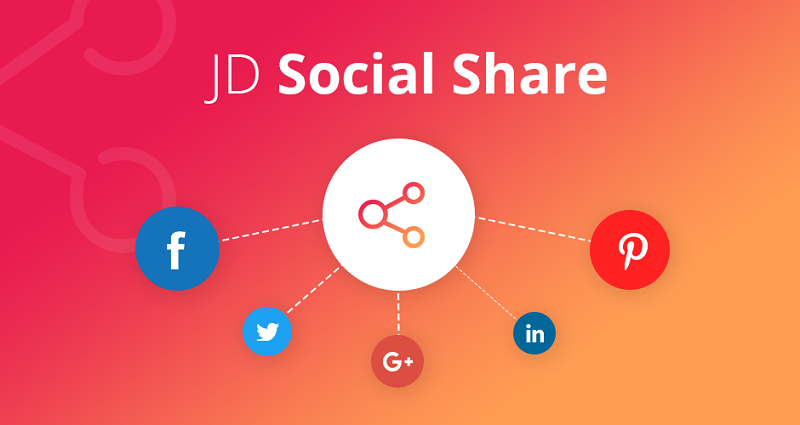 Use the JD Social Share Extension and harness the power of Social Sharing with it. Akeeba Backup enables you to get the complete backup of your site or some portion of it; all depends on how you want it. One Click functionality helps you create a full site backup. The archive includes your database, files and the restoration script. You can even download your backup in various file format like Standard ZIP archives, highly optimised JPA archives or AES-128 secured JPS archives. It is one of the must-have Joomla Extensions If you are looking forward to opening a Joomla based website. 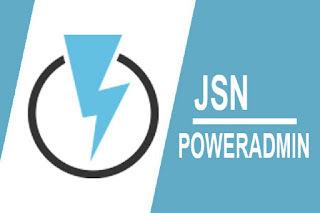 JSN Power Admin is an excellent and most productive Joomla extension which makes Joomla administration tasks easy and enjoyable. 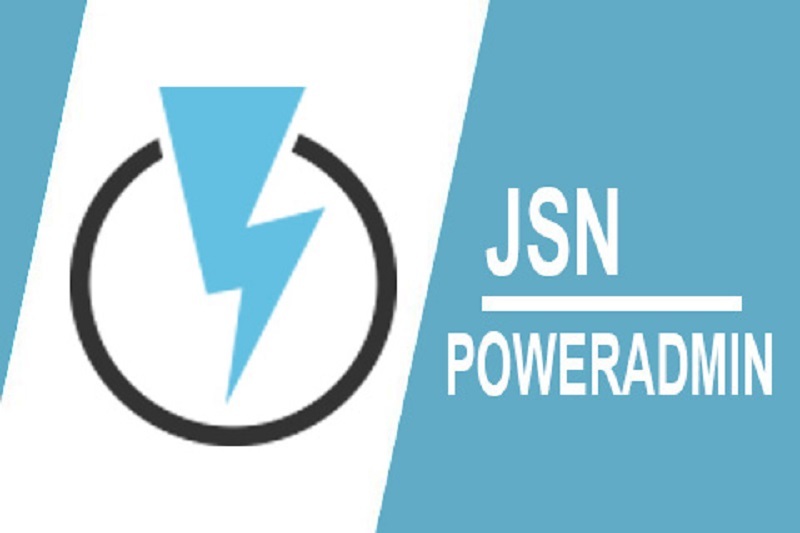 JSN Power Admin extension can help you in controlling and managing whatever you want; be it content types, menus, modules, etc. You can also use infinite admin sessions via this extension. This Joomla Extension also helps you in editing any duplicate content present in your website. We all know that Google Analytics allows us to have an eye on our website visitors and their demographics. Google Analytics is one of the many things which is always needed by the site no matter what kind of website it is. Asynchronous Google Analytics Plugin doesn’t do anything fancy; It simply allows you to integrate your Google Analytics Account with your Joomla website and monitor the traffic and your user behaviour. Disqus Comment Extension for Joomla enables you to create discussion pages on your website. Disqus makes it easier for people to comment and track their contribution. Disqus Comment Extension for Joomla gives the features like real-time comments, inline media embedding, mobile commenting, social integration with Twitter, Facebook & other services and great moderation & anti-spam tools which are must for every kind of website. JCH Optimize helps your website to load fast and provides a smooth user experience by minifying CSS and JS Files. JCH Optimize gives you several front-end optimizations for faster download speeds for your Joomla Website. 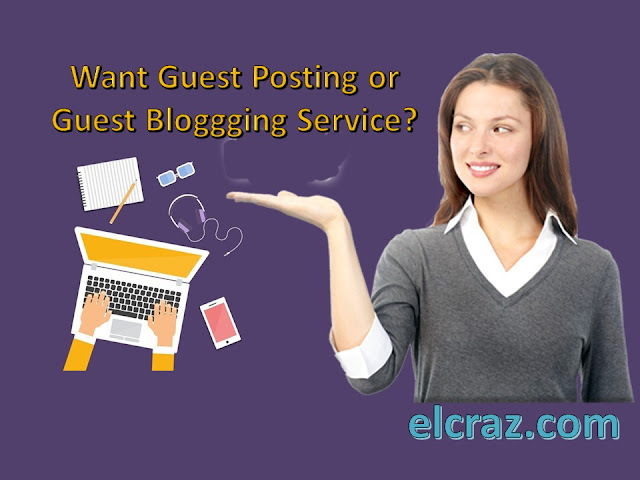 You must use this plugin if you don’t want your website visitor to face any speed related issue. Sourcerer is a useful Joomla Extension which enables you to place PHP or any HTML style code right into your content or in sections, categories, modules, components, META tags, etc. You can also put your original codes right into your WYSIWYG editor and have complete control over all of your website. RokPad is not a WYSIWYG editor. Instead, it is a powerful desktop-style editor for developers. 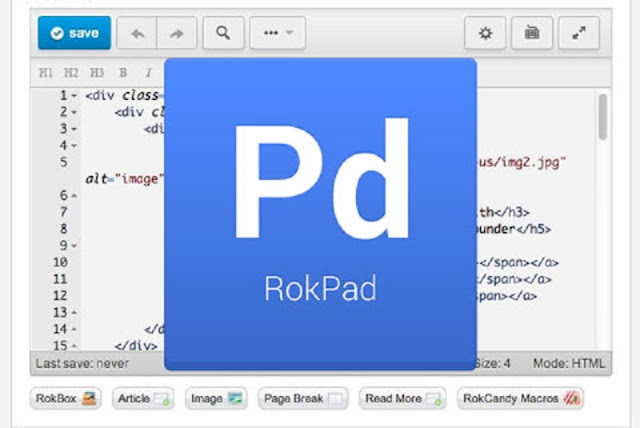 RokPad creating content becomes a pleasure and a straightforward task. RokPad provides many advanced functions such as an Ajax saving action, syntax highlighting, configurable themes, multiple cursors and selections, shortcut keys, multiple programming language support, and many other incredible features, which are very useful for the Joomla Website developers. Ever wished you could also use an influential index, table of content and to your content in a Joomla! Web site? Now with Quick Index, you can do it all. With Quick Index, you can quickly add an index (ToC, Table of Contents) to your content. The index generated by this extension will be created based on the headings in your content. So these extensions are some of the must-have extensions that you must have to install on your Joomla Website for increasing its efficiency and productivity. If you know any other useful extensions for Joomla, you can leave it in comments. Once our team reviews the extension, we will surely add that in this list too. 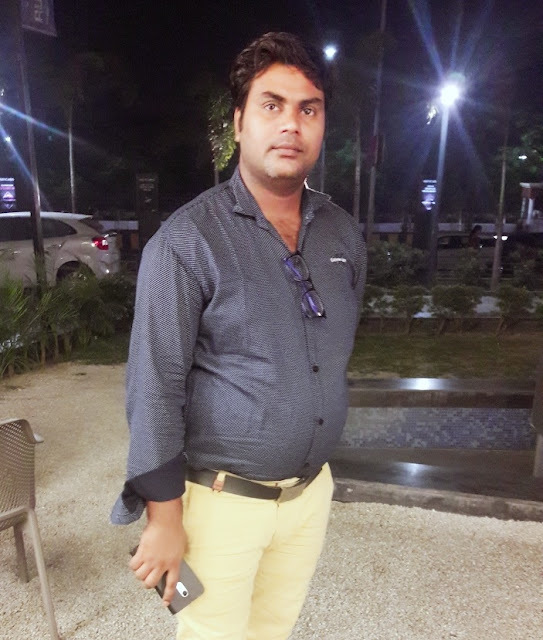 Naveen is a digital marketer by profession and blogger by passion and kind by nature. If you are looking for Joomla responsive templates, Naveen has a great collection of template at JoomDev. Apart from working on Joomla templates, he stay busy with his naughty kid Nainish and love to convert ideas into reality.